Amman Poetry Slam (APS) is a first of its kind poetry slam in Amman that aims to encourage writers to share their poetry and express themselves in a comfortable, accepting and tolerant environment. It allows them to speak freely and fearlessly which is one of the reasons, the founder of APS, Dalia Al-Shurman, thinks APS is favored, and is getting more recognition, by the people of Amman. After she came back from Riyadh, Saudi Arabia, Dalia could not find a community in Amman that supports writers by arranging gatherings, events, and clubs. So, in 2017 Dalia founded the Amman Writing Club; an initiative which allows writers and amateur writers to share their works and receive constructive criticism and feedback. 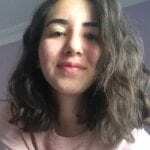 On the beginnings of APS, Dalia says: “It all started when Sara Saleh, author of Wasting the Milk in the Summer, visited the writing club from Australia and spoke to me about the Bankstown Poetry Slam back home”. Dalia was motivated to give the chance to the people of Amman and its literary community to assemble in one place, listen to verses of poetry and music in a safe, comfortable environment. 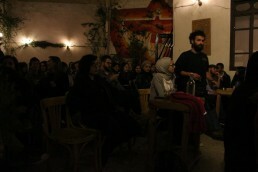 Poetry Slam is an open mic event held on the first Monday of every month where writers, performers, and Amman’s literary community get together to share and listen to poetry being recited on stage in a safe, familiar, and constructive environment. It welcomes both performers and listeners, along with a feature of recognized writers and poets. APS organizers end the night by inviting local musical performers on stage also for providing a platform for local talents to showcase their aural works of art. Starting a year ago and with only a couple of people showing up, APS founders, organizers and attendants celebrated the first anniversary in October 2018. “Today, more people attend than expected to enjoy this monthly event and the later you arrive, the higher the chances you’ll be enjoying the slam standing up!” said Dalia.